The enquiry is often spurred by a 'conflict' between the tenant and the owner, or property managers, about whose responsibility getting rid of the bed bugs is. Unfortunately this is a common conflict when it comes to bed bugs or other infestations in rental property or moving into accommodation. It is usually impossible to determine, with certainty, where the bed bug infestation originated. 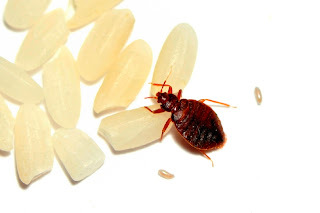 There is rarely any fault involved, as bed bugs are not a sign of poor hygiene and can easily be picked up during travel, in goods moved from one place to another, etc. It is always in the interests of both parties to deal with the problem promptly to save both pain and costs. I suggest the tenant and manger/owner amicably come to an agreement to jointly cover costs of eradication. This always saves time and costs for both parties. A men tells a friend: “I still can’t get rid of these bed bugs. I’m so tired of being bitten every day. They live in my old sofa in the living room”. “Get rid of the sofa then.” Suggested his friend. The guy replied:” Well, I threw out my sofa several times, but the bed bugs keep bringing it back”. 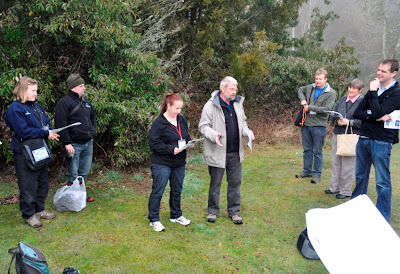 The NZ Biosecurity Institute NETS2012 conference was held at Wairakei Resort, Taupo, 18th – 20th July. I took the opportunity to make the trip to the conference a bit of a photographic journey. Too much in recent times my work has kept me locked in the office and not experiencing my favourite thing to do; travelling around the most beautiful country on the planet; God’s Own. So rather than fly to Taupo or Rotorua from Christchurch, an expensive option, I took the ferry across Cook Straight and drove to Taupo, giving myself time to stop and take in some sights. The drive and cruise across were spoiled by rain and flooding on the Monday. 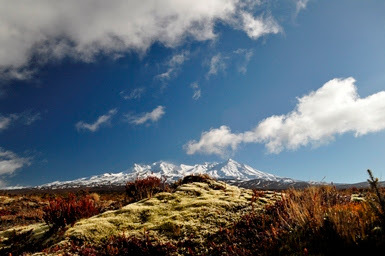 Tuesday started dull but just as I was passing over the Desert Road, the clouds cleared, exposing the snow covered peaks of Ruapehu and Tongariro. A sign pointing towards the mountains signifying the way to the ski field was irresistible. Having dragged myself away from the mountainsand driven through the on-going flooding from the previous day’s rain, I arrived at the Waikakei Resort. The conference was a great opportunity to renew acquaintances and catch up with what is new in Biosecurity. I was pleased to see many new faces this year along with the same ‘old’ crowd. I believe the number of registrations was up, encouraged by the full and interesting program. In the past I have spent most of my NETS conferences at animal and invertebrate pest talks, but this year, with Kiwicare’s recent work on herbicide development, I took more interest in weed presentations. Consequently I learned much including how much I still have to learn. As is often the case, I was spoiled for choice on the field trips. 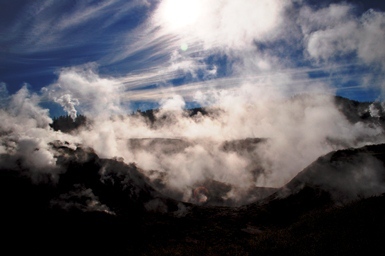 I finally selected ‘Taupo – More than a Geothermal Wonderland.’ I had been to Taupo and surrounding areas many times in the past, but I had not previously had the time and opportunity to see any geothermal sights other than the puffs of steam emanating from geothermal vents in the cattle fields. At least I think the steam was from geothermal vents. The trip gave me a chance to see some of the bubbling activity, to learn more about these very different habitats and the threats posed by incursions of pest plants, animals and civilisation. Thanks go to Kevin Lowe and Sarah Beadel for their guiding knowledge. The first part of the field trip was to look at the Wairakei Golf Club which must be unique in having installed a pest proof fence to keep unwanted mammals out, and, to Sarah’s frustration, some exotic species in. One of the issues with the pest proof fence was that it has a single automatic gate entry and it may not be fast enough to stop all pests entering. 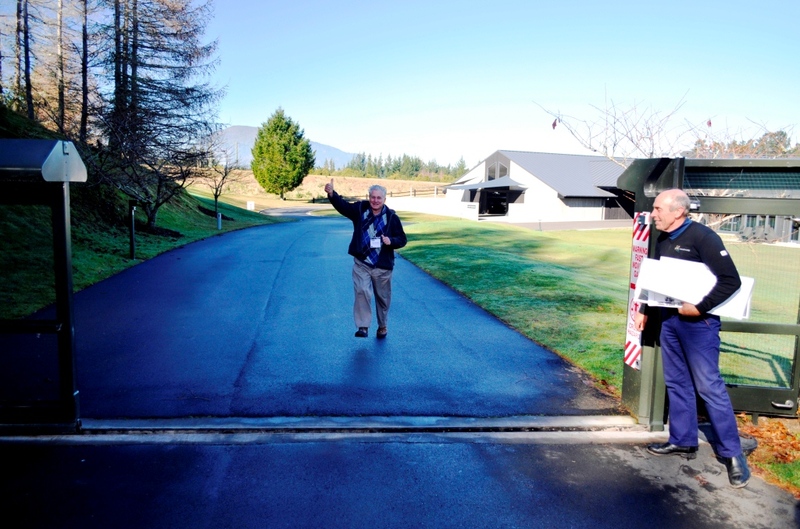 Ray Weaver of the Pohutukawa Trust managed to make it in just as the gate was closing. The Craters of the Moon are a steaming cauldron of bubbling mud, fissures venting hissing steam and prostrate kanuka dripping with sulphurous dew. The restoration of these areas by removal of wilding conifers and pampas grass amongst other weeds was described by our guides. A difficult task carried out from helicopters or on foot taking great care as no one wants to be scalded in boiling mud. It is to the credit of our guides that no one was lost during the walk around the area, as far as I know. Taking photos of as many parts of the plant as possible; leaves, flowers, fruit, bark, roots, whole plant and environment plant is in. Avoid harsh sunlight and use a grey background such as a road, so that the camera’s automatic light metre does not give an under or over exposed subject. For cameras that can adjust aperture use a narrow aperture (high f-number) to give good depth of field. Heid Pene then advised on how to take, store, pack and send samples for identification and inclusion in a herbarium. The Annual General Meeting of the NZBI had some interesting discussion about what leadership the institute should take in the light of the loss of the MAF Biosecurity branding. The institute is a broad church and at times it has taken the position that it cannot represent all the opinions within the organisation as some of them conflict. But there was unanimous support for an approach to the minister expressing the view of the institute that the branding, and the effort that has gone into its development and recognition by the public should not be lost. I fervently hope that the institute takes more such opportunities to identify consensus within the institute and voice opinion to government, public and media. Trevor and Heidi’s handouts have been added to the NZBI website. After lunch it was time for the drive back south to catch the ferry to the mainland. Chris MacCann knowing of my photographic journey suggested I go south via the wreck of the Hydrabad on Waitarere Beach, just north of Levin. 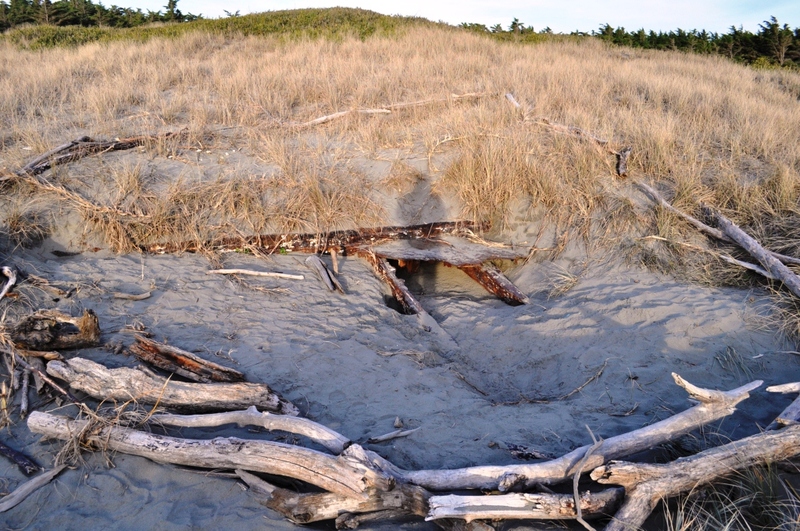 I had a picture in my mind of the skeleton of a ship embedded in the sands of the beach with the waves lapping against it. 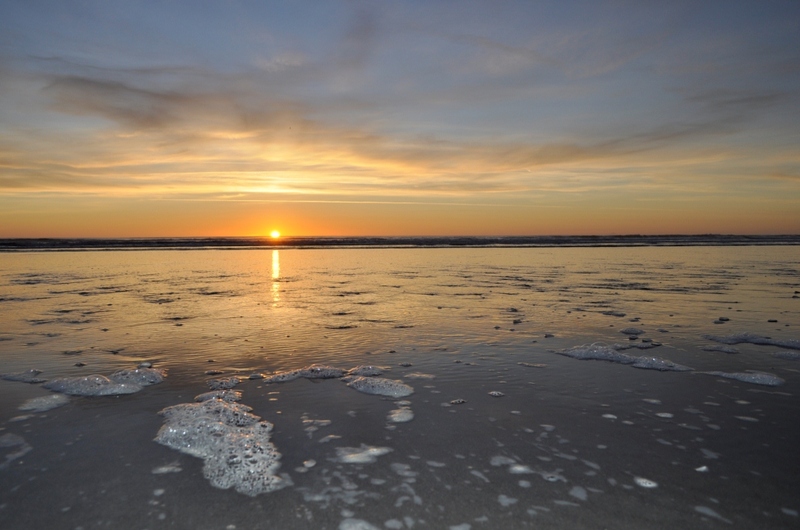 I got to the beach just before sunset and quickly found the sign. But where was the wreck? Nothing in the water, nothing sticking out of the beach. 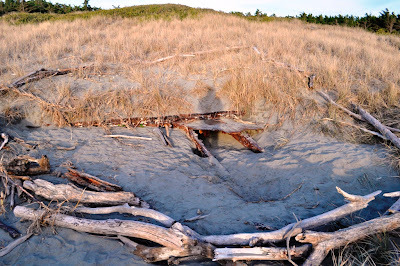 A walk into the dunes and there in a hollow was a couple of beams marked by some kind soul with driftwood. But the trip was not in vain. Far from it; the sun was setting over the Tasman and I managed to add to my vast selection of sunset on a beach photos with some of my favourites. What did I do? I go on a geothermal trip, drive up to overlook Tongariro and two weeks later the mountain awakes after slumbering for over 100 years. I promise, I didn’t touch anything.